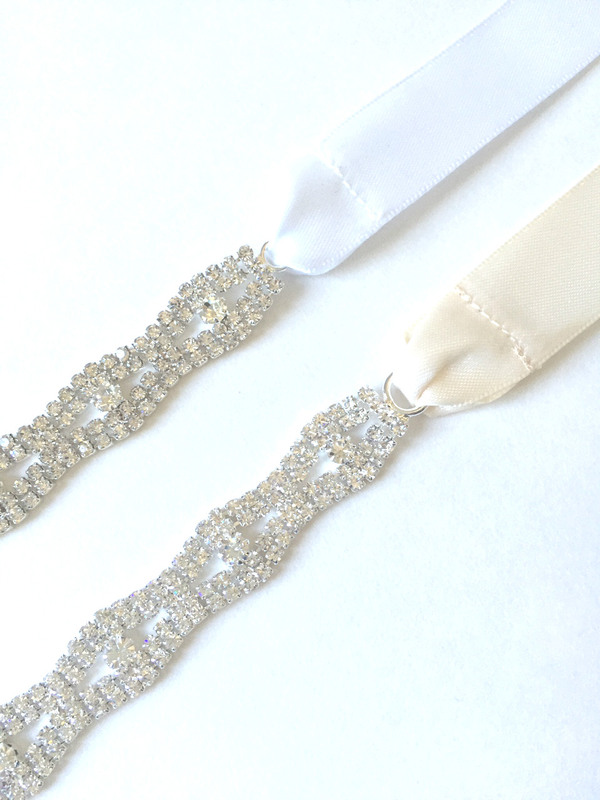 Headband ribbon is available in white or ivory, please choose an option below. Tags: crystal, double strand, headband, wedding. 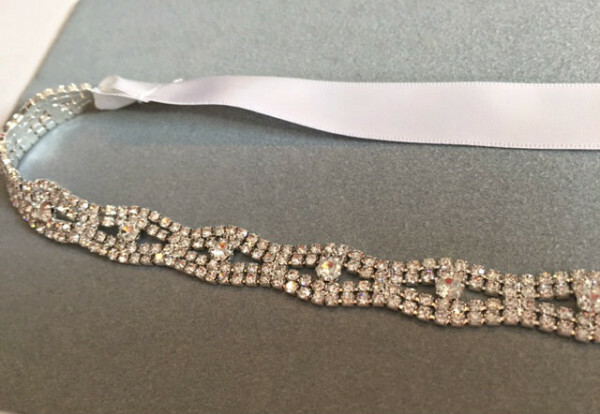 True to the name Caroline, there is nothing more classic then wearing a beautiful delicate rhinestone crystal headband to compliment any wedding gown. 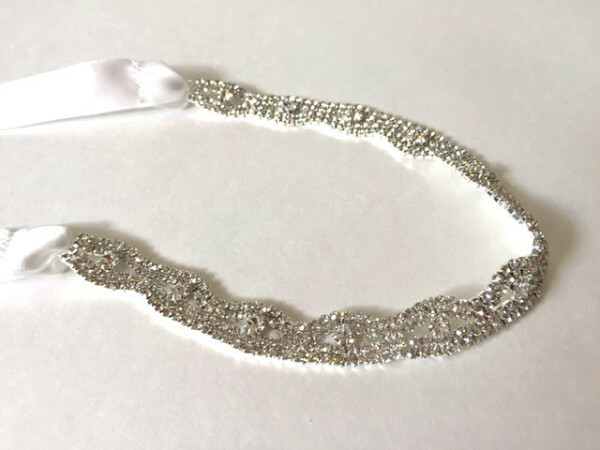 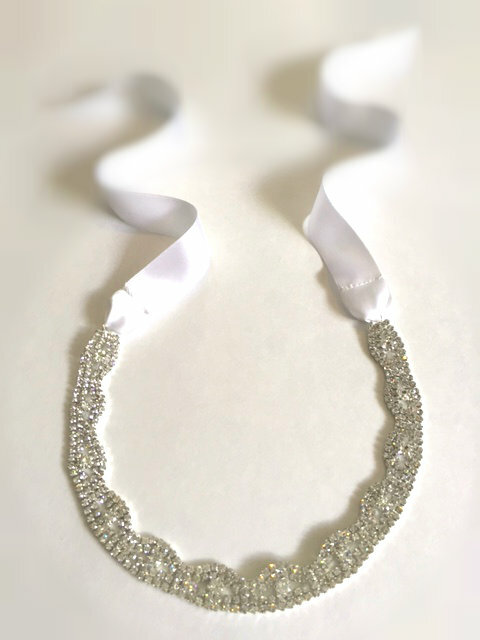 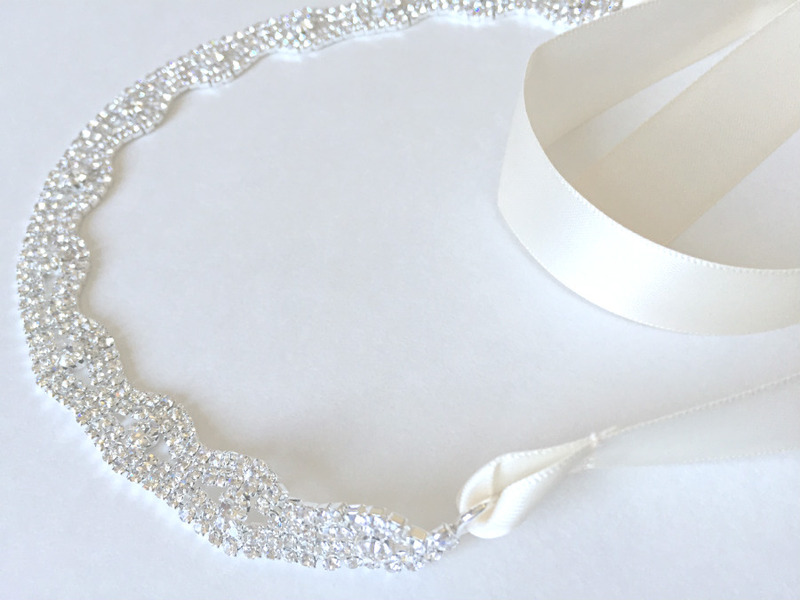 This headband is made up of two strands of miniature rhinestone crystals, dotted with larger crystals in between, and secured with a satin ribbon (available in white and ivory) on both ends to be tied at the nape of the neck for a romantic finish.